SUMMER SNOOKER DAYS AT THE HURRICANE ROOM CLUBS! 10:30 - 2:30 EACH DAY FOR JUST £7.50 PER DAY! OR PRE PAY ALL 12 DAYS FOR £75! THE DAYS WILL CONSIST OF PRACTICE, MATCHES, COMPETITIONS, COACHING, FUN AND GAMES. A CHANCE FOR THE YOUNGER PLAYERS AND BEGINNERS TO HAVE SOME FUN, WHILE THE SERIOUS PLAYERS AMONG YOU CAN MEET UP FOR SOME MUCH NEEDED MATCH PRACTICE! ITS BASICALLY £1.87 PER HOUR FOR A £7.50 DAY! AS WELL AS MYSELF, W.P.B.S.A COMMUNITY COACH RYMEL HANSON WILL BE IN ATTENDANCE AT SOME OF THE DAYS! Check the Prices page for more details. 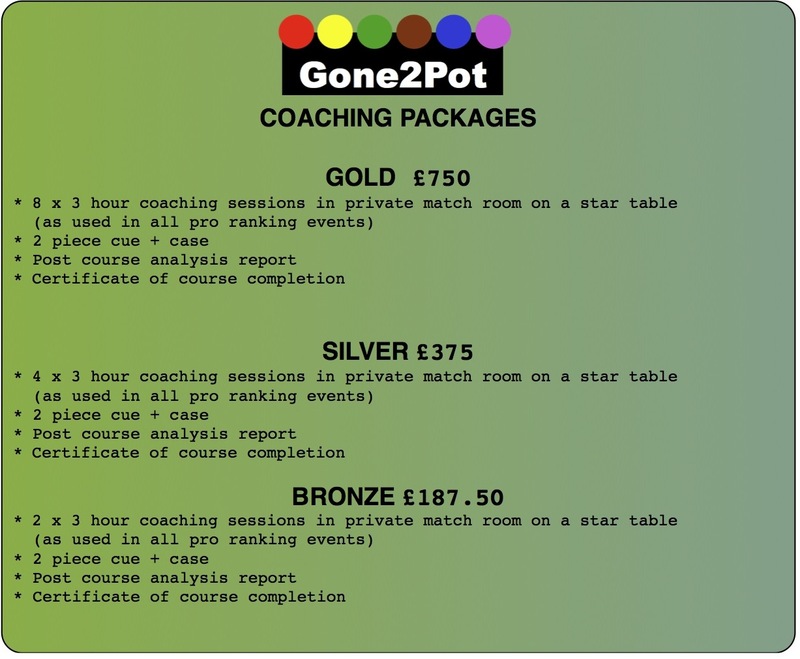 As a unique idea for a gift, Why not treat your Dad to a coaching session? ﻿Contact me to buy gift vouchers, to book a session or for more information. and Adam Stacey reaches the EASB english under 14s semi final.